When you start to hear the scratching, squeaking, and skittering at night you may just have mice at your home. Ignoring the first few signs of mice living inside your home is a bad idea. Allowing them to live comfortably, even for just a few days can result in a full infestation that you might not be able to handle yourself. 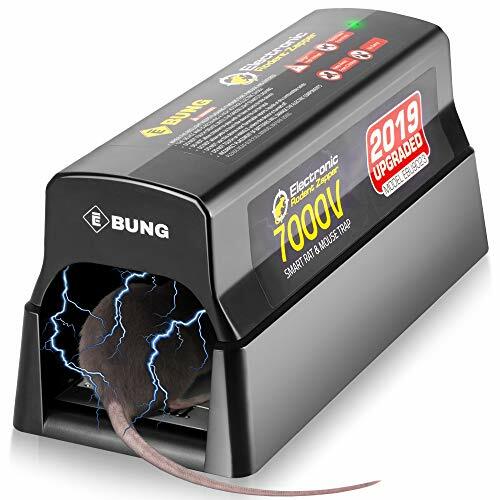 From the moment you hear or see any signs that there are rodents in your home, you need mouse traps that work as soon as possible. Like now. Whether you’re already dealing with mice or you’re simply preparing, here are some tips you can follow to effectively drive them out of your home while also making sure they never come back. Most people rely on what they hear and what they see out in the open when checking for mice at home. Although mice droppings do confirm that there are pests in your home, and so do the skittering and squeaking at night, there are signs that you might have to dig a little deeper for. Check your cupboard if there are any boxes that have been chewed through. You may not have noticed that you have an unopened box of mac and cheese, but the mice sure have. Once you have confirmed that there are indeed mice inside your home, it is time to act fast and immediately get rid of them! The reason why mice move indoors is due to the availability and easy to access food. To keep their presence at a minimum, store your food in containers that they cannot chew through. It is also advisable that you maintain a clean kitchen to ensure that there is no food near the table or any parts they can easily access. Also keep a rule that every member of the family should eat in a specific area; this will limit the crumbs from spreading. Don’t forget to clean your pet’s food bowl when you call it a night. Mice like pet food and will go for it if it is left out in the open the entire night. It is basically an all-you-can-eat buffet for those pesky rodents. Perhaps the best way to get rid of mice without calling an exterminator is through the classic, yet effective mousetraps. There are now a variety of traps available on the market that allow you to choose from the low-tech snapping trap to the higher end humane traps, but they are all very effective in catching mice. Bait choice—Choosing the right bait can make a mouse trap more appealing to a mouse, which leads to more captures. Try setting a mousetrap using peanut butter or chocolates as bait. Mice are known for their sweet tooth and will go for sweet bait more often than savory ones. Trap placement—Setting the traps at the same place every night will make them less effective. Mice are smart creatures and will figure out the pattern. Keep them guessing and on their toes by mixing up the placement of the traps every night. This will increase the chances of trapping them. Number of traps—This is a big mistake people make when setting traps. Many seem to think that one trap every few meters away is enough to catch mice, but this isn’t true. The more traps there are in a small space, the better the chances are of catching and permanently getting rid of mice. Whether you are using the classic snapping trap or the more humane mouse trap, putting them near each other does help catch mice faster. Even when you see just one mouse inside your home, expect to see a lot more. Mice tend to travel in groups and allowing them to stay inside your home gives them the chance to breed and increase in number. From the moment you suspect that there are mice inside your house act fast and immediately set the traps. Continue setting traps until you are 100% sure that there are no mice left.